Mr. Ohshima demonstrates nukite strikes with Hayward Nishioka, one of the top Judo experts. 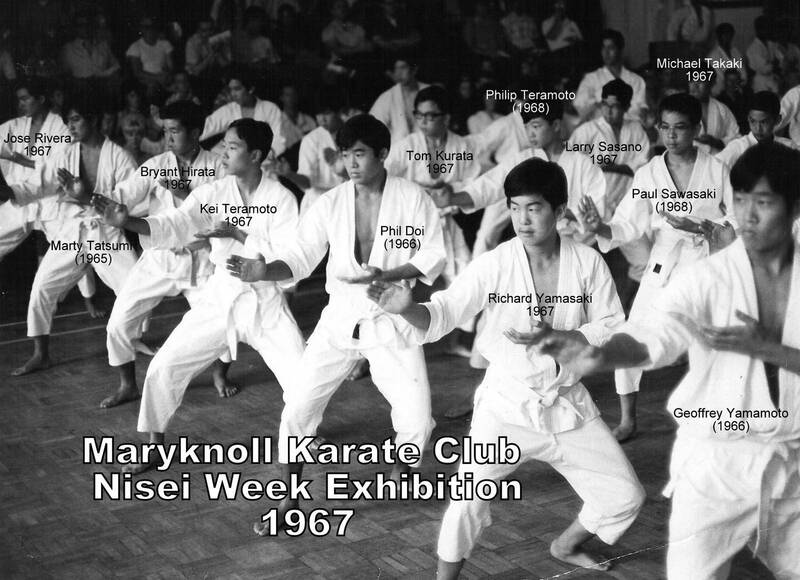 In 1964, Hayward Nishioka faced Daniel Chemla in one of the fiercest kumite matches in Nisei Week Tournament history. Shotokan Karate of America (SKA) is a nonprofit organization teaching traditional karate-do in the United States since 1956 (most Americans had never even heard of karate in 1956). Because of SKA’s strong resolve to offer high-quality martial arts to the public, SKA has remained non-commercial, non-profit, and continues to offer authentic, traditional martial arts instruction at affordable rates under the direction and leadership of Mr. Tsutomu Ohshima, Shihan (chief instructor) through more than 140 dojos across the United States and Canada with affiliates worldwide until his retirement in 2018 at age 88. At his retirment, Ohshima Sensei appointed a shihan for each national affiliate. Jim Sagawa was named SKA Shihan..
To preserve, perpetuate and advance the legacy of Shotokan Karate for the betterment of the lives of those who train, and to contribute positively to human history. From 1948 through 1953, Mr. Ohshima was a direct student of Master Gichin Funakoshi, the founder of Shotokan and recognized as the “father of modern karate-do.”  Master Funakoshi was the first to bring the art of karate from Okinawa to the main islands of Japan. Members of SKA enjoy a direct link to the ancient masters of martial arts through Master Funakoshi, Tsutomu Ohshima, and each SKA black belt. With diligent study, SKA practitioners strive to strengthen body, mind and spirit, and faithfully transmit the art to future generations. 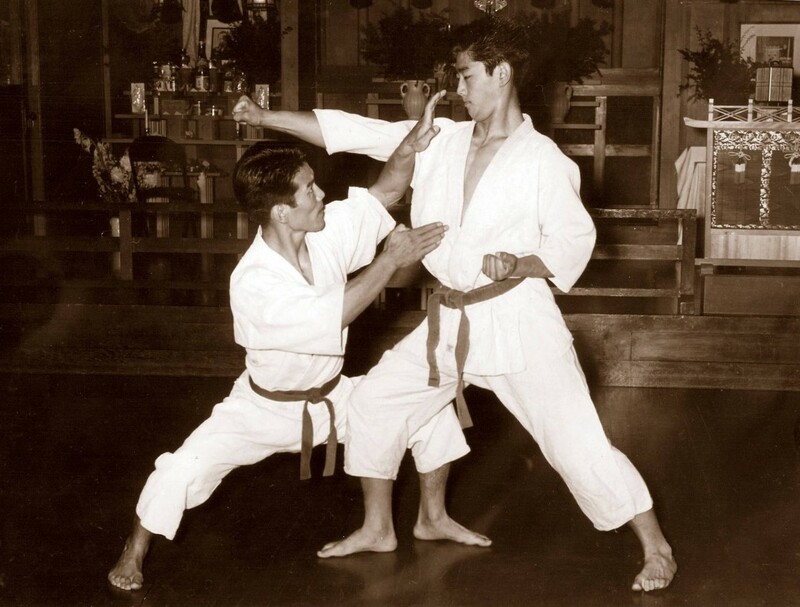 In 1957, Tsutomu Ohshima was asked to demonstrate karate during the annual Nisei Week Judo Tournament held in Little Tokyo, Los Angeles, the first public demonstration of traditional Shotokan Karate in this country. This demonstration became an annual event making Nisei Week Karate Tournament the oldest annual karate tournament in the United States. In 2000, SKA opened the Shotokan Ohshima Dojo, a place for students from groups around the world that have sprung from the leadership of Tsutomu Ohshima to regularly meet and practice together. SKA maintains a high level of noncommercialism and is devoted to teaching karate at its highest level, as a martial art and as a way of life. To this end, SKA conducts lectures, seminars and regularly scheduled intensive training sessions for all students, as well as a continuous training program for advanced students and instructors. Those seriously interested in the study of a martial art are welcome to join us.